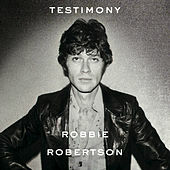 When discussing rock music, Robbie Robertson's work with Bob Dylan and the Band cannot be overemphasized. The Band's worshipful distillation of American musical styles into a mythic, religious experience is overshadowed only by the recorded material from their days touring with Dylan on his infamous first electric tour. Robertson is simply one the hottest guitar players ever to pick up the instrument. His simple, terse style is deeply rooted in early blues, but an uptown Ike Turner influence charges weeping lines with a joyous irreverence and staggering looseness. 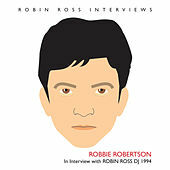 While he's arguably best as a sideman, Robertson's formidable skill as a songwriter also guarantees his place in the rock pantheon, as Music From Big Pink and The Band well illustrate. Since the Band dissolved in 1976, Robertson continues to evolve, releasing few records but taking a radically different approach on each. Obsessed with America and possessing a shark-like desire to keep growing as an artist, he released Contact From the Underworld of Redboy in 1998, an album which found him teaming up with DJ Howie B for a genre-mutating hybrid of hip-hop, blues, and folk.